Most people don’t see much beauty in decrepit wood. 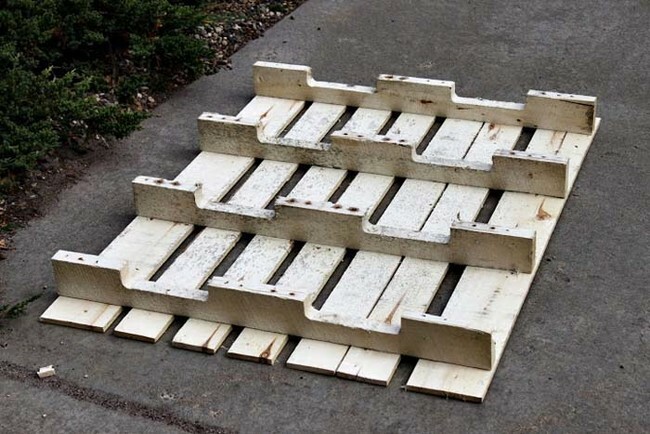 Truth is you can make some pretty cool things with the help from some old wood pallets. 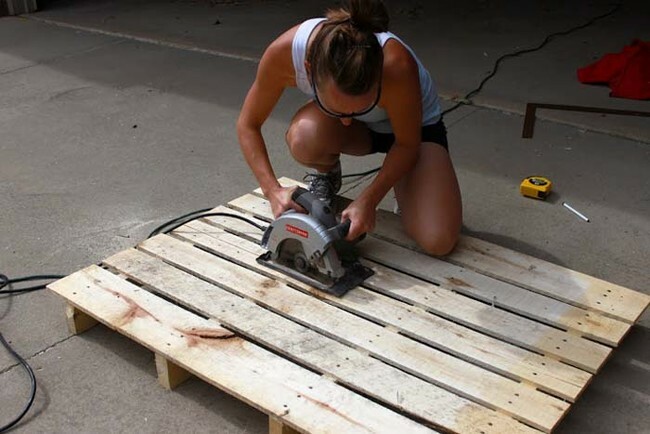 From innovative desks to amazing headboards, there’s so much you can create from reclaimed, recycled pallets. 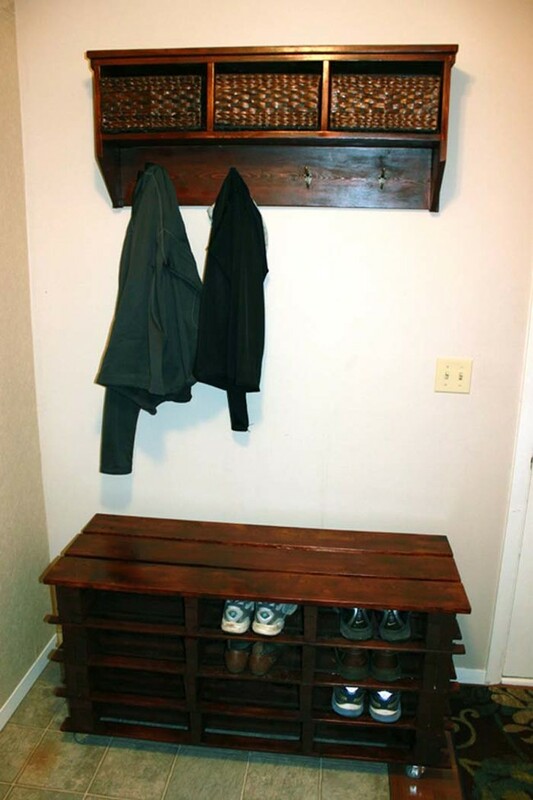 When Beth at Between 3 Sisters decided she needed a place for her family to store and organize their shoes, she took matters into her own hands and made such a professional-looking, inexpensive shoe holder/bench combo, you just have to see it. 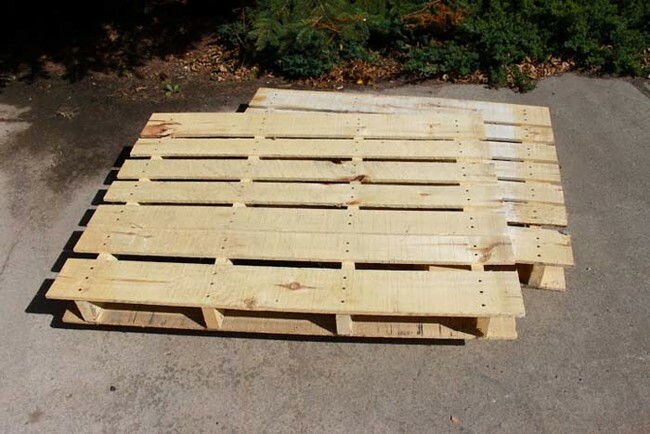 First, she tracked down two free pallets. 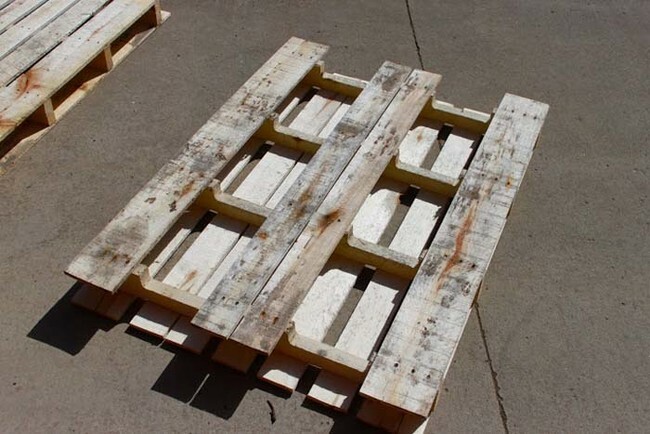 Then, she removed the bottom of the pallets. 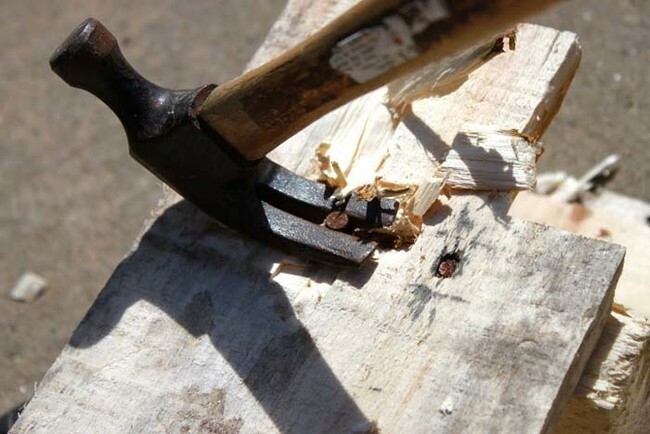 A chisel and hammer can go a long way. 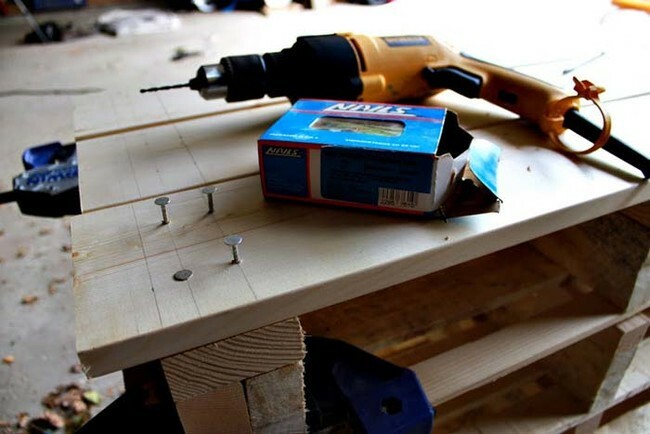 Once the bottoms were off, the real work began. 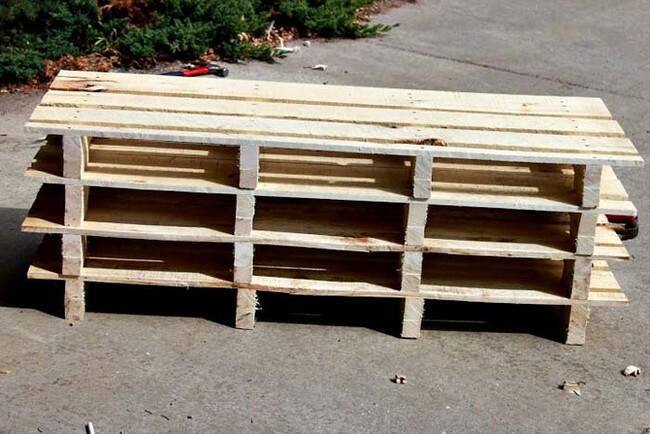 Both pallets had to be cut in half widthwise. 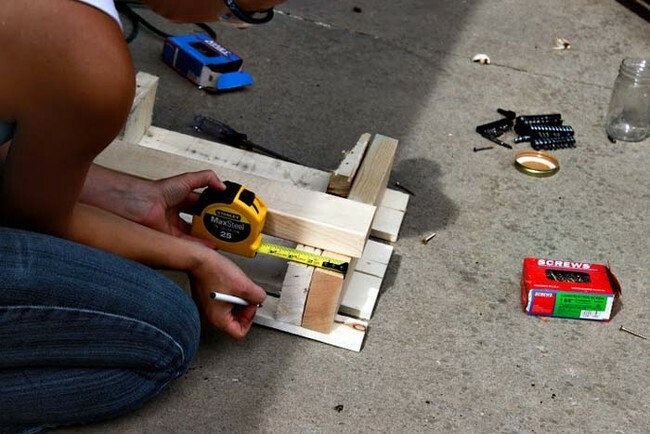 Then, she could stack the halves on top of each other to visualize how the finished product would appear. 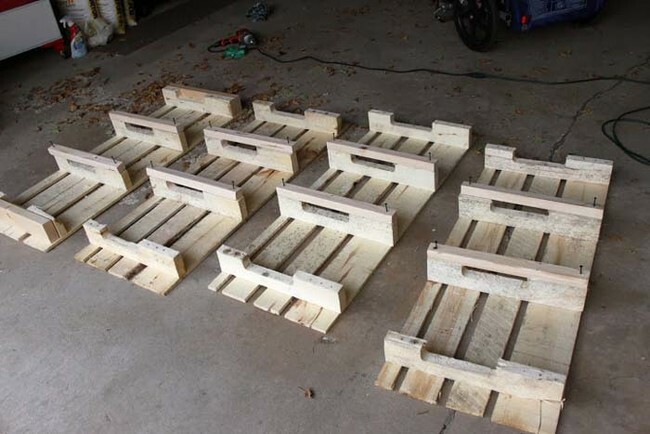 The pallets had to be reinforced to hold extra weight so it could also serve as a bench. Finally, she put everything together. After all the pieces were nailed together, she added new wood on top. She also added wheels for simple mobility. Lastly, she added few coats of wood stain and polyurethane to complete the job! 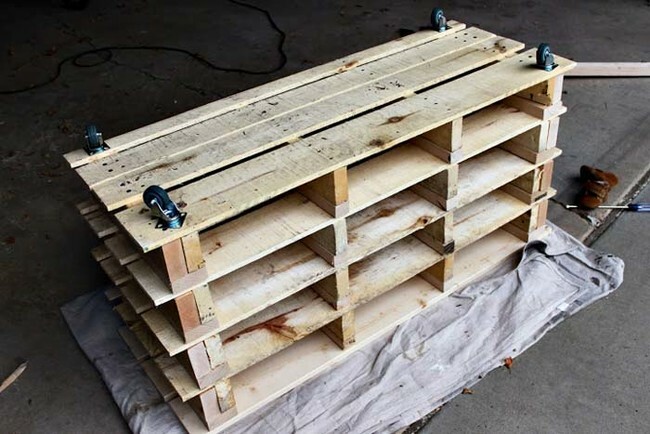 With a beautiful finished product like this, who would have ever guessed it was made from old pallets? !